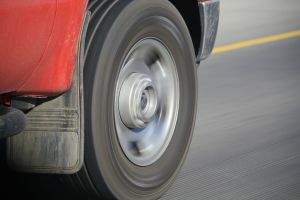 Frazier v. Drake, an appeal from the Nevada Court of Appeals, involved defendant who was driving a truck as part of his job working for a concrete company. He testified that he was driving with the window open when a number of bees flew into the cab or the semi tractor-trailer truck. He then testified that one of the bees landed on his eye. When he tried to remove the bee, he did not see a light had turned red and crashed into the rear end of plaintiff’s car, which was stopped at the red traffic signal. The occupants in the front car were injured as a result of the car crash and filed a personal injury lawsuit against plaintiff. Around one year after the case was filed and three years before trial, defendants made an offer of judgment for $50,001 to one plaintiff and $70,001 to the other plaintiff, pursuant to relevant state law. Both plaintiffs rejected their respective judgment offers and decided to proceed to trial. As our Boston personal injury lawyers can explain, an offer of judge, which is often used in federal personal injury cases or cases filed under Section 1983 of the United States Code (USC), is a mechanism where a defendant can make a qualified offer to the plaintiff to settle a case. The offer or judgment is made at a specific amount and the plaintiff can either accept or reject the offer. However, and offer of judgment is not the same as a private settlement offer frequently made in civil personal injury cases. With an offer of judgment, the court is aware of the offer and the terms of the offer, much like a plea offer in a criminal court, and the court is also aware if a plaintiff accepts or rejects an offer. If a party rejects an offer and then goes to trial and loses or wins less than the offer of judgment, the plaintiff may be liable for attorney’s fees and court costs to the defendant. In the case of personal injury litigation, this may not affect the actual plaintiffs, since most personal injury lawyers do not charge plaintiffs unless they collect in a settlement or verdict. In this case, defendant asserted his bee defense, and the jury believed him and found in his favor. At the conclusion of trial, plaintiff moved for a new trial based up their position the judge was incorrect in allowed a certain state law jury instruction. The court denied this motion and then awarded attorneys fees to defendant. Plaintiff appealed this award of attorney’s fees, and, on appeal, the court concluded that trial court had abused its discretion in making such an award of attorneys fees in the amount of the rejected offer of judgment. The court did, however, affirm trial court’s ruling to deny plaintiff’s motion for a new trial and concluded trial court had reasonably applied the state jury instructions and did not err in this regard.